Research by Marketing Tech Blog reveals that loyal customers are worth up to 10x as much as their first purchase. Predictable, repeatable, sustainable: when most of us say we want revenue growth, this is usually what we mean. Not a one-off purchase or a two-month project but that loyal customer you can predict will come back to purchase time and time again, providing you with the sustainable revenue stream your business needs to do lots of exciting things like hiring, expanding, and growing. Unfortunately, in real life it’s rarely this easy. Traditional marketing methods do little to build meaningful relationships with your prospects. Even the most successful outbound marketing campaigns, the ones people talk about all year round, are often remembered as just that: a successful ad campaign. To build the strong, trusting customer relationships you need to grow in the coming years, a different approach is needed. In his lively talk at 'The Revenue Growth Summit' in Oxford last year, HubSpot director Dan Tyre revealed exactly what that approach is, as well as how his audience of salespeople, marketers, and business owners could align their business operations to build those key relationships. 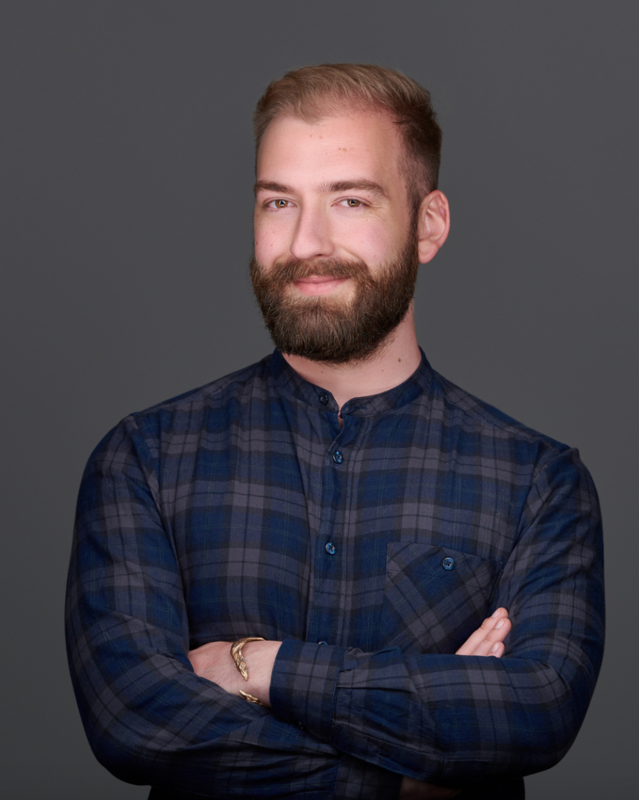 Watch Dan’s talk now to discover how the inbound marketing revolution is the key to achieving sustainable business growth and how you too can achieve this in 2019. Dan: The inbound revolution is this change where the salesperson was in control, where now your customers are in control. Happy customers make all the difference in the world. What does marketing do for you? Do you like your marketing department, Olivia? Olivia: I do. I love my marketing department. Dan: And what does your marketing department do? Dan: Case studies, testimonials — all that kind of stuff. In the old days, marketing was an expense. When I would serve on a board of directors, people would come in, the vice-president of sales would say ‘all right, we gave you $600,000 last year, how much of it turned into revenue?’ and the vice-president of marketing would always look at their feet like ‘it’s kind of hard…’ and the thing you’re thinking about is ‘how do we cut this budget?’ The salesperson would come in and you would say ‘we had three new salespeople, what did it turn into?’ This is the incremental revenue. It’s different in 2018. Now marketing does everything. Marketing isn’t what it used to be — it’s not just lead generation and brand. Your marketing permeates everything you do, so marketing comes to the forefront. Marketers have revenue responsibility. Marketers are responsible for customer marketing. Marketing becomes very very critical to your scale in 2018. How many people are familiar with this slide? I’m going to spend just a bit of time on it because this is the essence of the inbound revolution and before we go to the new flywheel concept — which Eric is going to talk about in depth — I just want to make sure you understand that this is the option you have. You can hire pushy salespeople — you can do the traditional kind of stuff — or you can practice inbound. What inbound is first of all: optimising your website so that people who are doing that online research find you. We call that ‘attract’. The way you attract people is you personalise content on the website in a way in which the search engines and social media pick it up. The holy grail for all businesses is to attract people that don’t know they exist in that Google search so that they find them and come to their website. That ‘attract’ is worth trillions of dollars. Dan: Any Google shareholders in the audience? Dan: Unfortunately. Google makes a billion and a half dollars in profit per month on Google AdWords. The curveball of that is that only eight percent of college-educated folks click on the pay per click. If the eight percent is worth a billion and a half dollars in profit, what is your organic stuff worth? It’s trillions of dollars. If you can rank for an organic keyword, that is incredibly valuable. It is just like your inventory. It is just like your intellectual property. It is super important. 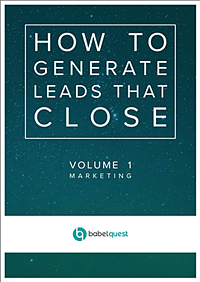 It is a revenue stream and what we have seen over the last 10 years for people who have started inbound, more and more of those leads are coming to them because they are attracting those qualified buyers with the right information. Number two: when people come to your website, what do you want them to do? Dan: It’s a very good question because that’s exactly right. Only two percent of the people that come to your website the first time are ready to buy and that’s exactly what you want them to do — you want them to engage in what we call instant gratification omnichannel. So how many people like chatbot? Raise your hand if you like a chatbot if it pops up. Dan: Just a handful, 10%. The statistics say 47% of people would prefer to use a chatbot than talk to a human being. Now chatbots are one of the developments over the last two years, but virtually every page needs to have a chatbot. It’s great for answering quick questions. In the convert stage, the first time people come to your website you want to have what we call a top of the funnel offer that is for somebody who is trying to determine if they even have a problem and if this is a priority for them. A top of the funnel offer may be a guidebook or a checklist or the 2018 whatever you do. It’s designed to help people understand not about your product or service, but how you can help them solve the problem. What that does is it helps builds that trust, what that does is it makes them feel comfortable that you understand, what that does is make sure they know they’re in the right place, and if they’re engaged they’re going to drop their contact information. That gives you the ability to nurture them in a personalised, contextual way where you’re providing more value so they come back to the website multiple times. Now you’ve got an engaged opportunity. You can offer ebooks, you can offer a variety of different services, checklists in exchange for their email address, first, last name, name a piece of content. You’ll see that in 2018 that the ‘close’ button has gone away. In the old days, we closed a deal, salespeople closed the deal and then they’d never see us again. Today we don’t close deals, we start relationships. Everybody in the entire organisation needs to know everything that’s happened with a prospect all the way from the first time they came to the website. And then that ‘delight’ becomes critically important. All the stuff below is just the technology that supports it. You want total strangers to move to visitors to your website. You don’t want everybody to come to your website, just the people that you can help. Those people should turn into leads. The leads are either going to be managed by marketing. In the old days we gave all the leads to sales. Today we only give what we call MQLs (marketing qualified leads) or sales qualified leads, because we don’t want to pick up the phone until a customer is ready. There’s a variety of ways to do that within HubSpot: predictive lead scoring and general lead scoring. Once somebody becomes a customer we don’t abandon them. That is the key. The new addition to the inbound funnel is the flywheel. How many people are familiar with the flywheel? Dan: Oh shoot, all right. I’m going to go there, I want you to explain the flywheel. Olivia: Amazing. The flywheel’s obviously here but this is what we were all used to, the funnel. 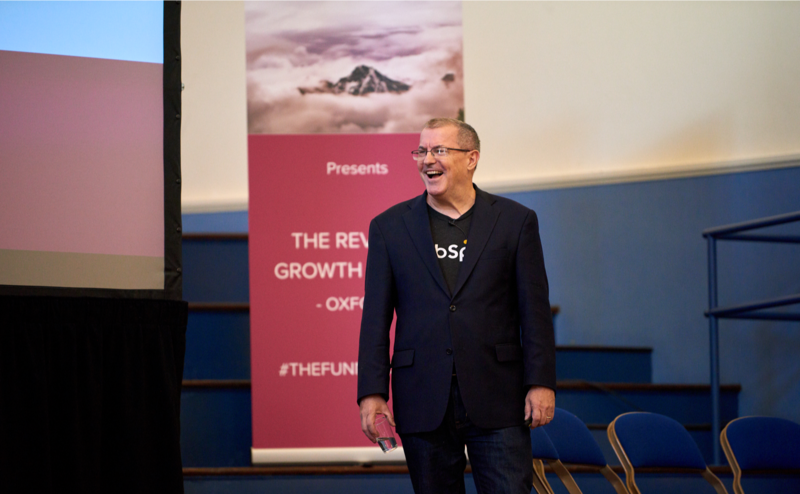 I remember when Brian Halligan, our founder, got up and said ‘the flywheel is dead’ I was like ‘no, it’s the only thing I’ve ever known for the last ten years in sales’ and once you get them through from sales into customers it’s goodbye. But that’s not how you grow your business and your organisation. The thing you need to consider is your customers. Your customers should be the forefront; that should be the key thing. Like in the photo at the start with my football team, gathering around and talking about the customer. How do we make sure their experience is relevant, is second to none and they’re actually your promoters? They are the people who are helping to grow your business. So when you look at growing as you all put up your hands, the first place you need to start with is how do we make our customers happy? What’s key for them? Is it around sales, services and marketing? Eric will get into this in a lot more detail later on, but what you need to focus on is inbound businesses’ methodology focussed on trust, credibility, and momentum. The inbound approach focusses on these three things, and that’s how you’ll help grow your business. But you need to put your customer at the forefront — no matter what. That will help grow and support your business and organisation. Dan: To do that, you’re going to define your target market a little bit closer than you did in the past. In 2014 you could be a generalist. In 2018 people want a specialist. They want somebody that understands them and so the riches are in the niches — I didn’t invent that but it’s all over the internet. You have to define your prospect base in ways that you can add the most value. And number two: you’ve got to help. This is the blog article that I was referring to. In 2015 I worked as a salesperson for HubSpot twice. The second time when I went back I noted that there was a huge change in my clients and I couldn’t be a pushy salesperson anymore, it just did not work. What they wanted is they wanted me to educate and help. So I became very transparent in saying ‘all right, all I want to do is help you’. What I want to do is help you because number one, you need a little help and number two, if I help you, you’re more inclined to potentially consider us when you come to a point of consideration. And it worked like crazy. Even if it’s a warm call, that has to be a well-researched call. You need to know that Dan Tyre lives in Arizona. You need to know that I’ve worked for HubSpot for 12 years. And you need to understand and find something in commonality where you’re adding value in the first few 15 minutes. My beautiful wife, Amy, she’s a yoga instructor, you know Amy, unbelievable. Well she turns into the Hulk if you call her and you haven’t done your research. So this change is critically important how sales engages with customers. Dan: Anybody familiar with the team ‘smarketing’? Say it, Olivia. Olivia: [Laughter] I’m not on one of your training courses. You invented it though. Dan: All right, that was horrible. Say smarketing, like you’re from Brooklyn. Smarketing. Dan: All right, a little bit better. I invented that term in 2007. In the old days, there was this complete separation between sales and marketing. We talked about it: marketing created the brand and the leads and then handed it over to salespeople. Salespeople took the leads, called the leads, qualified the leads, did a product demonstration, answered objections, brought them to a closing sequence and boom, they’re done. Today, marketing does 65%-85% of that process. That’s why marketing is so important. And they all have to see the same information. Salespeople have to see lead intelligence, lead notification and information that will help them understand who the prospect is. Marketing needs to see that information in aggregate. The inbound revolution is seeing all of that data, understanding exactly what people do so that you can engage in a personalised human type of concept for people to understand. So people say what is the first step in understanding, implementing the inbound revolution. The first is to understand that times have changed. You have that choice: you can go back and do it like we’ve done it for the last 38 years or you can lean in to the new way of doing business, which is helping people. The second thing is that you align sales and marketing so that you have your sales and marketing team working together. One centralised view of the customer. Three things that are super important for the sales process: number one, lead intelligence. Explain to the audience how you use lead intelligence on a regular basis. Olivia: Sure, so from a lead intelligence perspective it helps me help with what people are actually looking for. Therefore I can tailor and personalise my conversation directly to them. So I’m picking up a phone knowing if someone’s requested a demo, if they’ve looked at certain pages around sales or services, so I can exactly pinpoint what they’re looking for help with, but be supportive, be personalised and be human as well. Dan: Have you guys ever noticed that sometimes people will swarm around your website, they’ll be on your website 30 times, and then they stop, they just ghost you. And then they come back six months later, and they do the same thing. You guys noticed that? There’s this high level of activity and then it just stops. Why is that? It’s because we’re all busy. Your boss says all right, ‘go investigate this.’ You go investigate it and then he goes ‘no, no, no, forget about that, move on to something else.’ Six months later when you come back, you’ve got to know that person was evaluating that product, that service that was on your website because if you don’t recognise that, you’re going to be at a different part of the sales process. If you just start from ground zero and they’ve already done their research, all of a sudden they’re looking at you like ‘no, no, no, I’ve already moved beyond that. They’re like the third slide where the guy’s hitting their head against the computer. Lead intelligence is table stakes for successful sales engagement in 2018. Now the second thing is lead notifications. Explain to the audience what lead notifications are. Olivia: Sure. I get notifications when someone comes to the pricing page, I get notifications around what they’ve looked at, but from a sales perspective of course I always want to be helping, but it’s always useful to see if someone’s looking at your pricing, how they’re engaging. I’ll get an email alert from marketing to tell me that my specific leads are actually looking at the pricing page. So I can send them a helpful email, maybe it’s a demo that they’re looking for. But really you need to be supportive. Are they looking at sales? Are they looking at services? Are they looking at marketing? From a sales perspective, it’s really invaluable to know who’s on the pricing page, getting that real-time notification so that I can help and I can help support what they’re looking to find or what they’re looking for. Dan: Do you see how that gives you a competitive advantage? Some people don’t even have a phone these days. The statistics say between three and 22% of people actually pick up their phone. If you don’t know when somebody is opening an email, when do you call them? Olivia knows that person is either back on that page or that they’ve opened the email, so she picks up the phone and she goes… What do you say? Dan: What Jessica was saying is she said ‘I want an immediate response.’ In the old days, you could say ‘all right, I’m returning your call for Monday.’ ‘Monday, are you kidding me? It’s Thursday.’ Jessica said ‘you’ve got five minutes, Tyre. After five minutes, I’m moving on.’ The only shot you have is that lead notification. Have you guys ever been in an email string where it says ‘can you meet on Thursday?’, ‘Can you meet on Friday?’ ‘How about Monday?’. You go back and forth like 40 emails, and then finally somebody comes in and says ‘oh he’s on holiday until like today and I can’t meet at that time’, and you want to kill yourself. How do you arrange meetings, Olivia? Olivia: From a meeting calendar link. It saves so much time. Definitely. I’d highly recommend this, rather than as Dan mentioned going back and forth about a million times and then the time has to be changed. You can just send over your calendar invite and they can actually pick a time that’s most relevant for them. So you’re always helping and they’re now putting time in your calendar. It’s also way more efficient. Because you’re not going back and forth and then having to change, they’ve got access straight away. It’s available, it’s there and they can put in a time that’s suitable for them. Dan: You’re also delighting the customer, you’re giving them control. You’re making sure that they feel special. You’re starting a relationship in the marketing and sales process even before they become a customer. The key for competitive advantage in 2018 is that there are so many competitors that are essentially doing the same thing. Your product features aren’t good enough to provide a competitive advantage. What all the studies say is the key component of why somebody is going to buy from you is the customer experience. The way in which you engage with them the first time they come to your website. The way your sales organisation works through them and works with them. The way in which you understand where they are in the sales process and provide the right information to the right people at the right time. The way in which you listen to what their problem is, recognise it and make recommendations on how they can help. The critical component of today’s sales process is the way you engage with your prospects. Once they become customers, then the flywheel says we want your customers to help you get more customers. Testimonials, case studies, all these ways in which we want Jessica to say ‘no, no, no — we love your product.’ Over the next five years, a million sales jobs will disappear because customer success is more important than a pushy salesperson. More people will do self-service. More people want to make sure that they’re dealing with the right type of person or agency. That’s what we call an inbound operating system. An inbound operating system ensures that you have a centralised view of the customer. Make sure you have all the data that Olivia was talking about so that you give your sales and marketing team a huge competitive advantage. From a marketing perspective, if you have all this information in aggregate, it becomes much easier to see the connections, the parallels. It becomes much easier to see which content you provide on your website and emails that moves people to the next step. One other point on this, how many people are using video today? Dan: All right. What’s the percentage? Dan: I’m going to say half. Yeah, ok, that’s good. 50% of your content should be in video. Does everybody here like video? Why do you like video? Just should it out. Dan: What’s that, you don’t have to do anything? It’s short, it’s impactful, it’s emotional. The best kind of videos are 60-second videos. It is super important. If 50% of your content isn’t video, you’re doing it wrong because that’s the way people want to engage. The great thing about being a marketer in 2018 is you can take that blog article and have Olivia read it in a short video, then you can take that video and put it on multiple pages, you can send it out in an email. From a sales perspective, new customer acquisition, video email greatly increases your percentage of engagement. How many people are using video email in their outreach? Dan: We’ve got Vidyard coming up! He’s going to explain all about how that’s done. The statistics we see at HubSpot is the conversion to opportunity using video in the sales process moves to between 22% and 33%. That’s up from 1.62% if you cold call. Video is the biggest improvement in new customer acquisition in the prospecting or identifying and connecting of inbound sales processes in the last 30 years.